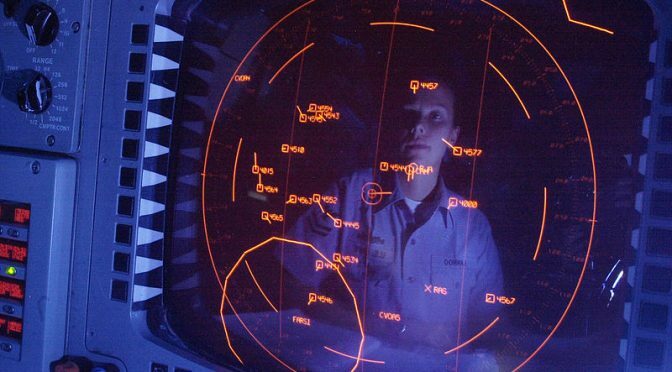 Today’s commanders are accustomed to operating in permissive environments and have grown addicted to the connectivity that makes detailed control possible. This is emerging as a major vulnerability. For example, while the surface Navy’s concept of “distributed lethality” will increase the complexity of the detection and targeting problems presented to adversaries, it will also increase the complexity of its own command and control. Even in a relatively uncontested environment, tightly coordinating widely dispersed forces will not be a trivial undertaking. This will tend toward lengthening decision cycles, at a time when the emphasis is on shortening them.1 How will the Navy execute operations in a future Anti-Access/Area-Denial (A2/AD) scenario, where every domain is contested (including the EM spectrum and cyberspace) and every fraction of a second counts? The Navy must “rediscover” and fully embrace mission command now, to both address current vulnerabilities as well as unleash the future potential of autonomous systems. These systems offer increased precision, faster reaction times, longer endurance, and greater range, but these advantages may not be realized if the approach to command and control remains unchanged. For starters, to prepare for future environments where data links cannot be taken for granted, commanders must be prepared to give all subordinates, human and machine, wide latitude to operate, which is only afforded by mission command. Many systems will progress from a man “in” the loop (with the person integral to the functioning), to a man “on” the loop (where the person oversees the system and executes command by negation), and then to complete autonomy. In the future, fully autonomous systems may collaborate with one another across a given echelon and solve problems based on the parameters communicated to them as commander’s intent (swarms would fall into this category). However, it may go even further. Mission command calls for adaptable leaders at every level; what if at some level the leaders are no longer people but machines? It is not hard to imagine a forward deployed autonomous system tasking its own subordinates (fellow machines), particularly in scenarios where there is no available bandwidth to allow backhaul communications or enable detailed control from afar. In these cases, mission command will not just be the preferred option, it will be the only option. This reliance on mission command may be seen as a cultural shift, but in reality, it is a return to the Navy’s cultural roots. Culturally, the Navy should be well-suited to embrace the mission command model to employ autonomous systems. Traditionally once a ship passed over the horizon there was little if any communication for extended periods of time due to technological limitations. This led to a culture of mission command: captains were given basic orders and an overall intent; the rest was up to them. Indeed, captains might act as ambassadors and conduct diplomacy and other business on behalf of the government in remote areas with little direct guidance.2 John Paul Jones himself stated that “it often happens that sudden emergencies in foreign waters make him [the Naval Officer] the diplomatic as well as the military representative of his country, and in such cases he may have to act without opportunity of consulting his civic or ministerial superiors at home, and such action may easily involve the portentous issue of peace or war between great powers.”3 This is not to advocate that autonomous systems will participate in diplomatic functions, but it does illustrate the longstanding Navy precedent for autonomy of subordinate units. Another factor in support of the Navy favoring mission command is that the physics of the operating environment may demand it. For example, the physical properties of the undersea domain prohibit direct, routine, high-bandwidth communication with submerged platforms. This is the case with submarines and is being applied to UUVs by extension. This has led to extensive development of autonomous underwater vehicles (AUVs) vice remotely operated ones; AUVs clearly favor mission command. Finally, the Navy’s culture of decentralized command is the backbone of the Composite Warfare Commander (CWC) construct. CWC is essentially an expression of mission command. Just as technology (the telegraph cable, wireless, and global satellite communication) has afforded the means of detailed control and micromanagement, it has also increased the speed of warfighting, necessitating decentralized execution. Command by negation is the foundation of CWC, and has been ingrained in the Navy’s officer corps for decades. Extending this mindset to autonomous systems will be key to realizing their full capabilities. Commanders must learn to be satisfied with the ambiguity inherent in mission command. They must become comfortable clearly communicating their intent and mission requirements, whether tasking people or autonomous systems. Again, there isn’t a choice; the Navy’s adversaries are investing in A2/AD capabilities that explicitly target the means that make detailed control possible. Furthermore, the ambiguity and complexity of today’s operating environments prohibit “a priori” composition of complete and perfect instructions. Placing commanders into increasingly complex and ambiguous situations during training will push them toward mission command, where they will have to trust subordinates closer to the edge who will be able to execute based on commander’s intent and their own initiative. General Dempsey, former Chairman of the Joint Chiefs of Staff, stressed training that presented commanders with fleeting opportunities and rewarding those who seized them in order to encourage commanders to act in the face of uncertainty. 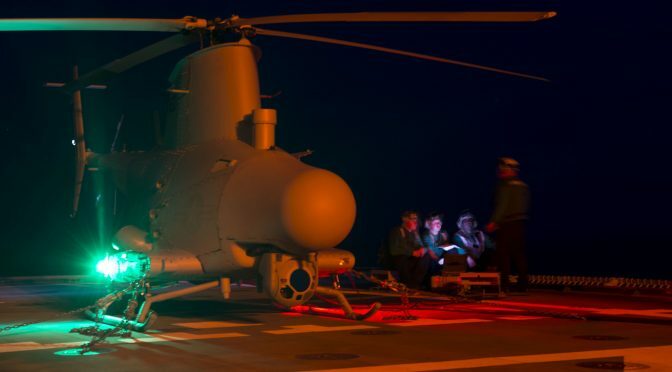 Familiarization training with autonomous systems could take place in large part via simulation, where commanders interact with the actual algorithms and rehearse at a fraction of the cost of executing a real-world exercise. In this setting, commanders could practice giving mission type orders and translating them for machine understanding. They could employ their systems to failure, analyze where they went wrong, and learn to adjust their level of supervision via multiple iterations. This training wouldn’t be just a one-way evolution; the algorithms would also learn about their commander’s preferences and thought process by finding patterns in their actions and thresholds for their decisions. Through this process, the autonomous system would understand even more about commander’s intent should it need to act alone in the future. If the autonomous system will be in a position to task its own robotic subordinates, that algorithm would be demonstrated so the commander understands how the system may act (which will have incorporated what it has learned about how its commander commands). With this in mind, while it may seem trivial, consideration must be made for the fact that future autonomous systems may have a detailed algorithmic model of their commander’s thought process, “understand” his intent, and “know” at least a piece of “the big picture.” As such, in the future these systems cannot simply be considered disposable assets performing the dumb, dirty, dangerous work that exempt a human from having to go in harm’s way. They will require significant anti-tamper capabilities to prevent an adversary from extracting or downloading this valuable information if they are somehow taken or recovered by the enemy. Perhaps they could even be armed with algorithms to “resist” exploitation or give misleading information. Above all, commanders will need to establish the same trust and confidence in autonomous systems that they have in manned systems and human operators.6 Commanders trust manned systems, even though they are far from infallible. This came to international attention with the airstrike on the Medecins Sans Frontieres hospital operating in Kunduz, Afghanistan. As this event illustrated, commanders must acknowledge the potential for human error, put mitigation measures in place where they can, and then accept a certain amount of risk. In the future, advances in machine learning and artificial intelligence will yield algorithms that far exceed human processing capabilities. Autonomous systems will be able to sense, process, coordinate, and act faster than their human counterparts. However, trust in these systems will only come from time and experience, and the way to secure that is to mainstream autonomous systems into exercises. Initially these opportunities should be carefully planned and executed, not just added in as an afterthought. 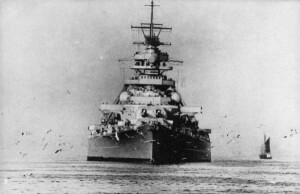 For example, including autonomous systems in a particular Fleet Battle Experiment solely to check a box that they were used raises the potential for negative training, where the observers see the technology fail due to ill-conceived employment. As there may be limited opportunities to “win over” the officer corps, this must be avoided. Successfully demonstrating the capabilities (and the legitimate limitations) of autonomous systems is critical. Increased use over time will ensure maximum exposure to future commanders, and will be key to widespread adoption and full utilization. The Navy must return to its roots and rediscover mission command in order to fully leverage the potential of autonomous systems. While it may make commanders uncomfortable, it has deep roots in historic practice and is a logical extension of existing doctrine. Former General Dempsey wrote that mission command “must pervade the force and drive leader development, organizational design and inform material acquisitions.”7 Taking this to heart and applying it across the board will have profound and lasting impacts as the Navy sails into the era of autonomous systems. Connell, Royal W. and William P. Mack, Naval Customs, Ceremonies, and Traditions, 1980, p. 355. Will Artificial Intelligence Be Disruptive to Our Way of War? At a recent Berkshire Hathaway shareholder meeting Warren Buffett said that Artificial Intelligence – the collection of technologies that enable machines to learn on their own – could be “enormously disruptive” to our human society. More recently, Stephen Hawking, the renowned physicist, predicted that planet Earth will only survive for the next one hundred years. He believes that because of the development of Artificial Intelligence, machines may no longer simply augment human activities but will replace and eliminate humans altogether in the command and control of cognitive tasks. In my recent presentation to the annual Human Systems conference in Springfield, Virginia, I suggested that there is a risk that human decision-making may no longer be involved in the use of lethal force as we capitalize on the military applications of Artificial Intelligence to enhance war-fighting capabilities. Humans should never relinquish control of decisions regarding the employment of lethal force. How do we keep humans in the loop? This is an area of human systems research that will be important to undertake in the future. Norbert Wiener in his book, Cybernetics, was perhaps the first person to discuss the notion of “machine-learning.” Building on the behavioral models of animal cultures such as ant colonies and the flocking of birds, he describes a process called “self-organization” by which humans – and by analogy – machines learn by adapting to their environment. Self-organization refers to the emergence of higher-level properties of the whole that are not possessed by any of the individual parts making up the whole. The parts act locally on local information and global order emerges without any need for external control. The expression “swarm intelligence” is often used to describe the collective behavior of self-organized systems that allows the emergence of “intelligent” global behavior unknown to the individual systems. Military researchers are especially concerned about recent breakthroughs in swarm intelligence that could enable “swarm warfare” for asymmetric assaults against major U.S. weapons platforms, such as aircraft carriers. The accelerating speed of computer processing, along with rapid improvements in the development of autonomy-increasing algorithms also suggests that it may be possible for the military to more quickly perform a wider range of functions without needing every individual task controlled by humans. Drones like the Predator and Reaper are still piloted vehicles, with humans controlling what the camera looks at, where the drone flies, and what targets to hit with the drone’s missiles. But CNA studies have shown that drone strikes in Afghanistan caused 10 times the number of civilian casualties compared to strikes by manned aircraft. And a recent book published jointly with the Marine Corps University Press builds on CNA studies in national security, legitimacy, and civilian casualties to conclude that it will be important to consider International Humanitarian Law (IHL) in rethinking the drone war as Artificial Intelligence continues to flourish. Meanwhile, many Chinese strategists recognize the trend towards unmanned and autonomous warfare and intend to capitalize upon it. The PLA has incorporated a range of unmanned aerial vehicles into its force structure throughout all of its services. The PLA Air Force and PLA Navy have also started to introduce more advanced multi-mission unmanned aerial vehicles. It is clear that China is intensifying the military applications of Artificial Intelligence and, as we heard at a recent hearing by the Senate’s U.S. – China Economic and Security Review Commission (where CNA’s China Studies Division also testified), the Chinese defense industry has made significant progress in its research and development of a range of cutting-edge unmanned systems, including those with swarming capabilities. 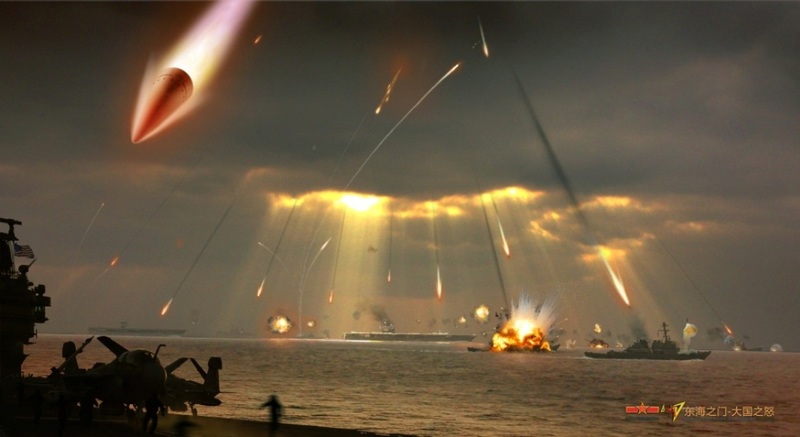 China is also viewing outer space as a new domain that it must fight for and seize if it is to win future wars. Armed with artificial intelligence capabilities, China has moved beyond just technology developments to laying the groundwork for operational and command and control concepts to govern their use. 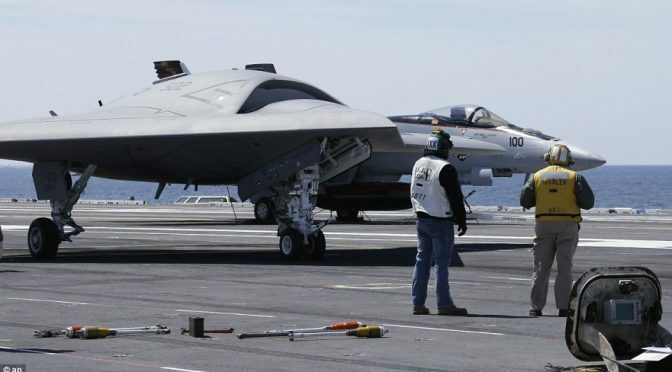 These developments have important consequences for the U.S. military and suggest that Artificial Intelligence plays a prominent role in China’s overall efforts to establish an effective military capable of winning wars through an asymmetric strategy directed at critical military platforms. Human-machine teaming is gaining importance in national security affairs, as evidenced by a recent defense unmanned systems summit conducted internally by DoD and DHS in which many of the speakers explicitly referred to efforts to develop greater unmanned capabilities that intermix with manned capabilities and future systems. Examples include: Michael Novak, Acting Director of the Unmanned Systems Directorate, N99, who spoke of optimizing human-machine teaming to multiply capabilities and reinforce trust (incidentally, the decision was made to phase out N99 because unmanned capabilities are being “mainstreamed” across the force); Bindu Nair, the Deputy Director, Human Systems, Training & Biosystems Directorate, OASD, who emphasized efforts to develop greater unmanned capabilities that intermix with manned capabilities and future systems; and Kris Kearns, representing the Air Force Research Lab, who discussed current efforts to mature and update autonomous technologies and manned-unmanned teaming. Finally, it should be noted that the Defense Advanced Projects Agency (DARPA) has recently issued a relevant Broad Agency Announcement (BAA) titled “OFFensive Swarm-Enabled Tactics” – as part of the Defense Department OFFSET initiative. Notably, it includes a section asking for the development of tactics that look at collaboration between human systems and the swarm, especially for urban environments. This should certainly reassure the human systems community that future researchers will not forget them, even as swarm intelligence makes it possible to achieve global order without any need for external control. As we capitalize on the military applications of Artificial Intelligence, there is a risk that human decision-making may no longer be involved in the use of lethal force. In general, Artificial Intelligence could indeed be disruptive to our human society by replacing the need for human control, but machines do not have to replace humans in the command and control of cognitive tasks, particularly in military contexts. We need to figure out how to keep humans in the loop. This area of research would be a fruitful one for the human systems community to undertake in the future. 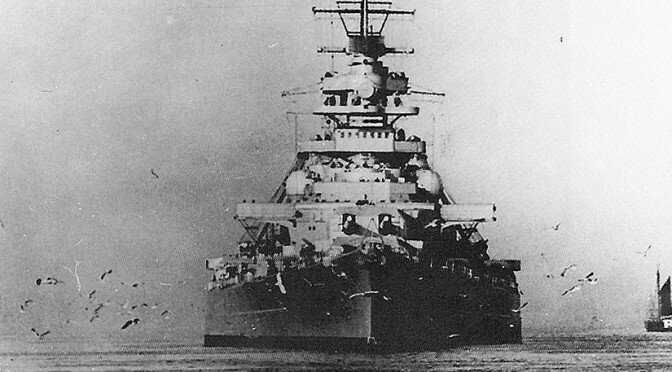 The BISMARCK, a single ship whose threat was sufficient to muster an entire fleet for the hunt. 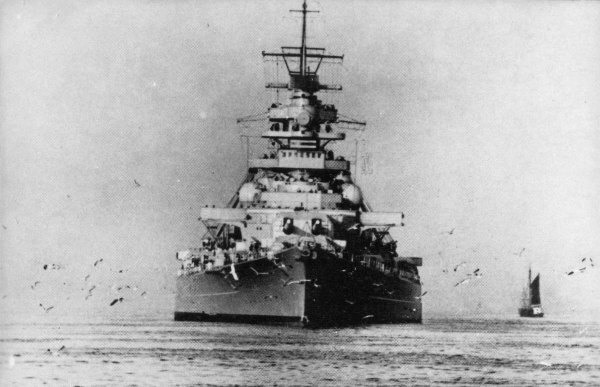 The essence of naval warfare has always been opportunism – from the vague area of gravity generated by an in-port “fleet in being,” to the fleet-rallying threat generated by even a BISMARK or RANGER alone. The opportunity is generated by forces more mobile and self-contained than any army, more persistent than an air force, and empowered to act with no connection to higher authority in a domain that leaves no trace. It is that ability for a small number of independent ships, or even a single vessel, to provide opportunity and create, “battlespace complexity,” that is distributed lethality’s core. Distributed lethality is not naval warfighting by new principles; it is a return to principles. The best defense is not an overwhelming obsession with defense. Unfortunately, the virtuous autonomy of the past was, in part, only protected by the limited technology of the day. As technology allowed, decentralized execution was replaced by the luxury and false confidence of constant connection to higher authority through an electronic umbilical. It is the kind of devolution that turned into Secretary Gates’ nightmare, “I was touring a [Joint Special Operations Command] in Kabul and discovered a direct line to somebody on the NSC, and I had them tear it out while I was standing there.” In parallel, America began the ahistorical project of investing all offensive opportunity not even in a single class of ship, but a single ship surrounded by a fleet obsessed with its defense. As early as 1993, President Clinton stated that when a crisis broke out, his first question would be, “where is the nearest carrier.” Sorry, other ships! For the Navy to sensibly rebalance, distributed lethality must succeed. For distributed lethality to succeed, we must decentralize and de-tether mission command, weapons release authority, and weapons support systems. Decentralized and disconnected methods of command must be embraced, as centralization is only an imagined luxury. Modern centralization is based on the assumption we will have the connectivity appropriate for it. This is no longer tenable in a world of increasingly advanced peers and hyundaized lesser adversaries. Anti-Access, Area-Denial (A2/AD) depends on opponents making themselves visible, of which electronic emission is critical. A2/AD will also inevitably seek to disrupt our C2 connections. “Permission? We don’t need no stinkin’ permissions.” “The Battle for Fox Green Beach,” watercolor by Dwight Shepler, showing the Gleaves class destroyer USS Emmons(DD 457) foreground and her sister-ship, the USS Doyle, to the right, within a few hundred yards of the landing beach, mixing it up with German shore batteries on D-Day. The current major-node CWC concept will need to be broken down to a more compact, internal model designed around the Hunter Killer Surface Action Group. Rules of Engagement must be flexible to the point that American commanders need not look over their shoulders to a higher OPCON. 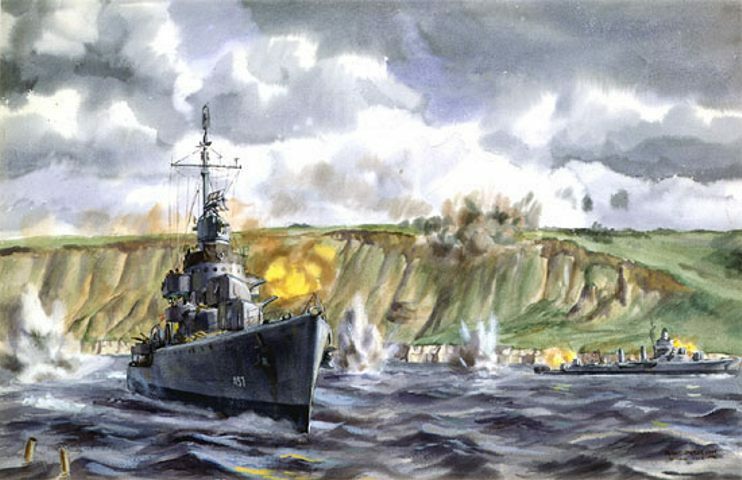 Consider, the destroyer CO’s at Normandy didn’t consider waiting for direction or requesting approval before shifting from small boat screening to shore bombardment from the shoals. They recognized the opportunity – the necessity – and executed of their own will. In contrast, today it might be a regular occurrence to double-and-triple check our actions with American OPCON while operating with NATO in TACON off Somalia. American CO’s could use the freedom to make pragmatic, on-the-spot decisions not only for immediate concerns of mission effectiveness, but as representatives of their higher military command and, potentially, the state. Coalition commanders would have greater trust in the spot decisions of their American counterparts, rather than worry they sit precariously atop a changing several-step staffing process. Though encouraging equivalent RoE flexibility for coalition partners may be challenging, our autonomy may encourage our partners to interpret their home nation guidance in a flexibility equivalent to their trust in the US commander they fight beside. That lack of hesitancy will be critical during a conflict, and in that sudden moment in the South China Sea or Mediterranean when a small SAG of coalition partners find themselves in the midst of a conflict that has just begun. Imposing the peacetime discipline necessary to trust the CO’s we have trained, prepared, and empowered to do their jobs is the only thing that will jump-start a shift in a mind-set now dominated by subordination. In the execution of more flexible orders, ships must be re-invested with control of their own weapon systems. CO’s oversee non-nuclear weapon systems that they do not control – that are solely the purview of off-ship authorities. In particular, as weapon systems like Tomahawk become deployable for ASuW, off-ship authority’s iron grip on their control must break. This decentralization also matters outside the stand-up fight at sea. The organic ability to program and deploy Tomahawk missiles for land strike allows surface ships to execute attacks of opportunity on land infrastructure, or execute and support opportunistic maritime raids as groups of marines harass adversaries, or turn isolated islands into temporary logistics or aviation operations bases. For winning the sudden-and-deadly fight in the littoral environment but integrating with opportunistic amphibious operations, the surface fleet could find some inspiration from the USS BARB, the only submarine in WWII to “sink” a train with its crew-come-amateur-commandos. From Somalia to the South China Sea, naval commanders should be told what to do, not how – and be allowed to do it. The less reliant the force is on these ephemeral links and the less these links are unnecessarily exercised in peacetime, the greater a force’s instinct to operate independently and with confidence in an imposed or needed silence. There may be a level of discomfort with decentralization and disconnection. If leaders fear the impact of a “strategic corporal,” surely a “buckaroo,” as CAPT Ramius would call him, that would be truly horrifying. That fear would be a reflection of a failure of the system to produce leaders, not the importance and operational effectiveness of independence. There is a reason the US once considered the Department of the Navy to be separate and peer to the Department of War – noting the institution and its individual commanders as unique peace and wartime tools for strategic security and diplomacy. Compare today’s autonomy and trust with that invested in Commodore Perry during his mission to Japan or Commodore Preble’s mission to seek partnership with Naples during the First Barbary Pirates War. Reliance on call-backs and outside authority will gut a naval force’s ability to operate in a distributed manner when those connections disappear. Encouraging it by default will ensure the muscle memory is there when needed. Finally, Distributed Lethality requires the hardware to allow surface combatants to operate as effective offensive surface units in small groups. The kinetic end of the spectrum, upgraded legacy weapons and an introduction of new weapon systems has been extensively discussed since the 2015 Surface Navy Association National Symposium when VADM Rowden and RADM Fanta rolled out Distributed Lethality in force. 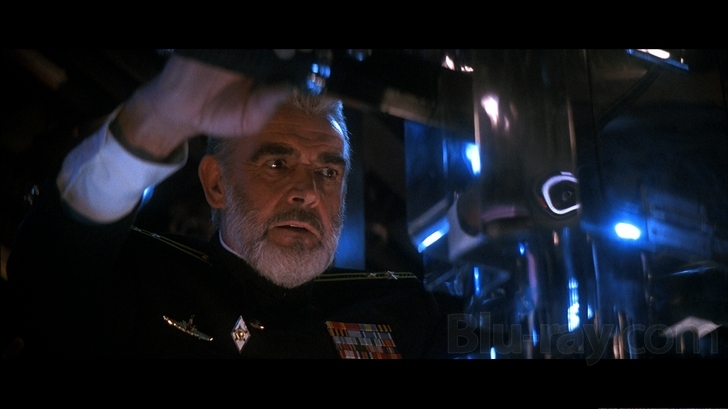 However, weapon systems are only as good as the available detection systems. Current naval operations rely heavily on shore-based assets, assets from the carrier, and joint assets for reconnaissance. In the previous Distributed Lethality topic week, LT Glynn argued for a suite of surveillance assets, some organic to individual ships, but most deploying from the shore or from carriers. Presuming a denied environment, and commanders empowered to seek and exploit opportunities within their space, the best argument would be for greater emphasis on ship-organic assets. They may not provide the best capabilities, but capabilities are worthless if assets cannot find, reach, or communicate with a Hunter-Killer SAG operating in silence imposed by self or the enemy. They also prevent an HKSAG from being completely at the mercy or limitations of a Navy or joint asset coordinator – while simultaneously relieving those theater assets for higher-level operations and opportunity exploitation. Ultimately – distributed lethality is the historical default mode of independent naval operations given a new name due to the strength of the current carrier-based operational construct. 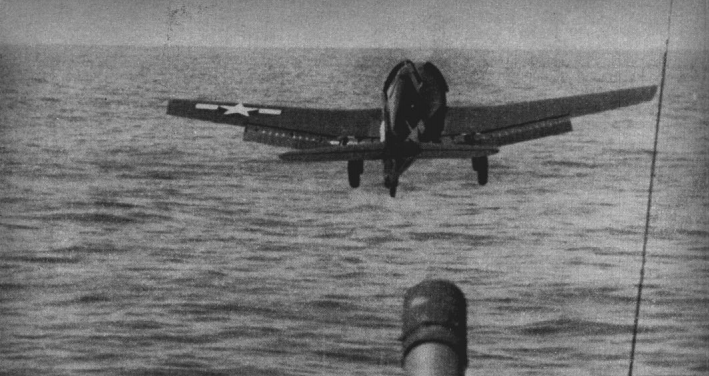 Admiral Halsey ordered CAPT Arleigh Burke to intercept a Japanese convoy at Bougainville, “GET ATHWART THE BUKA-RABAUL EVACUATION LINE ABOUT 35 MILES WEST OF… IF ENEMY CONTACTED YOU KNOW WHAT TO DO.” The surface fleet must embrace a culture assuming our commanders “KNOW WHAT TO DO.” We must build an operational construct in which acting on that instinct is practiced and exercised in peacetime, for wartime. The operational and diplomatic autonomy, as well as the OLD IRONSIDES style firepower of single surface combatants, is necessary to rebalance a force gutted of its many natural operational advantages. Distributed lethality must return the surface force to its cultural and operational roots of distributed autonomy, returning to the ideas that will maximize opportunity to threaten, undermine, engage with, and destroy the adversary. Matthew Hipple is the President of CIMSEC and an active duty surface warfare officer. He also leads our Sea Control and Real Time Strategy podcasts, available on iTunes.